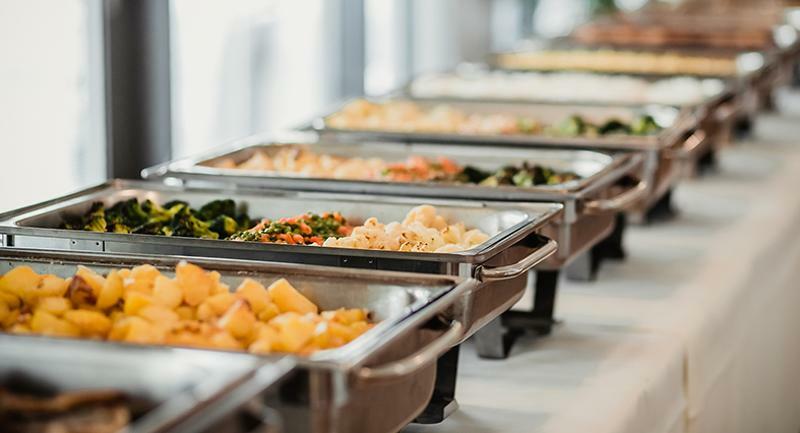 November signals the beginning of a busy catering season for many foodservice operators. If you’re looking for new ideas to energize catered events, start with the five innovative recipes that follow. This whimsical take on a popular state fair food is sure to win fans at catered events, too. 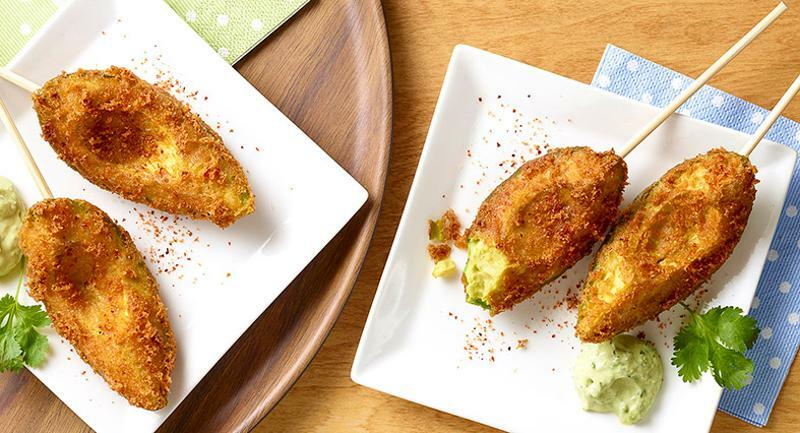 Instead of hot dogs, these veggie-based “corn dogs” feature wedges of avocado that are skewered, coated with spicy cornbread batter and fried. Chef Matt Hastings serves them with a side of avocado ranch dressing for dipping. 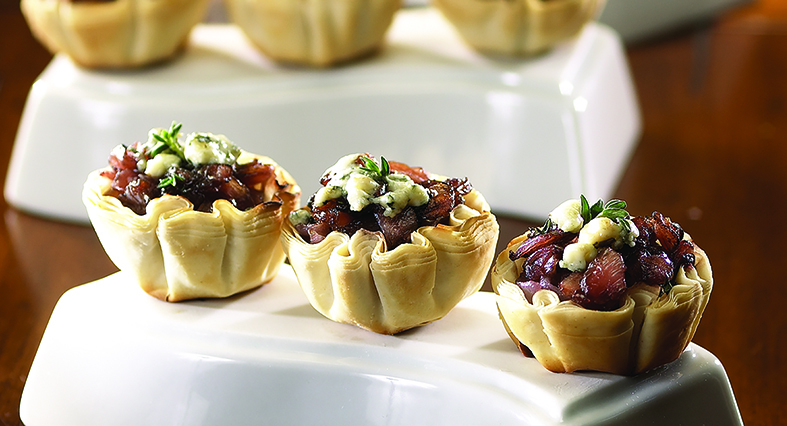 At Bord A Petite, the chefs use labor-saving, ready-made mini phyllo shells to create these festive tartlets. The filling doesn’t require a lot of labor either, and the onions can be cooked ahead and kept at room temperature. For service, the filled tartlets just need a quick turn in the oven to melt the cheese. Korean-style bulgogi is traditionally made with beef. And banh mi sandwiches usually feature pork. 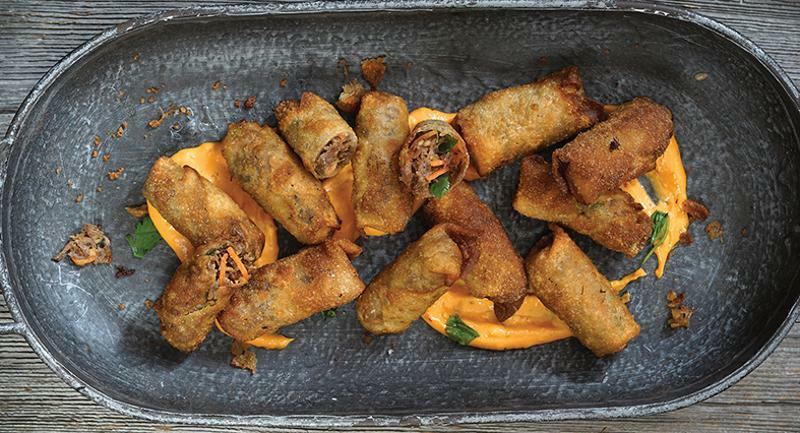 For this mash-up, chef Sam Woodfill swaps in cost-effective lamb neck as the protein and stuffs the braised meat into wonton wrappers instead of crusty rolls. To tenderize this cut of lamb, it is soaked in a sweet-salty marinade made with ginger, garlic, pears, honey and soy sauce before simmering for two hours or until it falls off the bone. 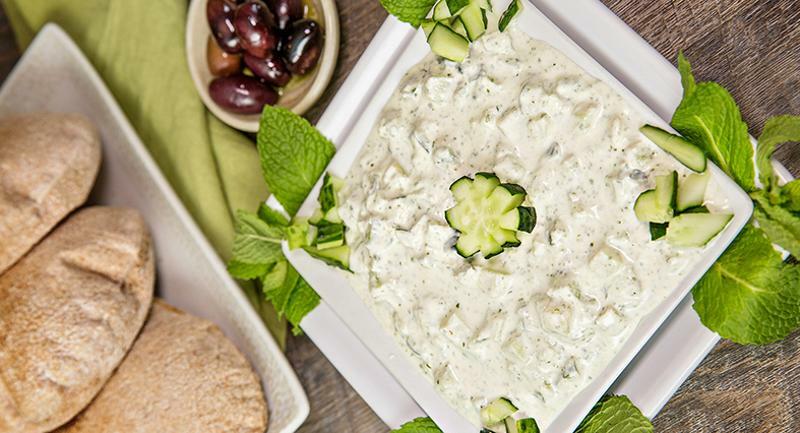 Sassool, a Lebanese restaurant with three locations in North Carolina, batches tzatziki for catering platters. The garlicky cucumber-yogurt dip is served with grilled kabobs, wedges of warm pita bread and assorted raw veggies for dipping. Sassool uses the more authentic labneh, a Middle Eastern strained yogurt, as the base instead of plain yogurt. 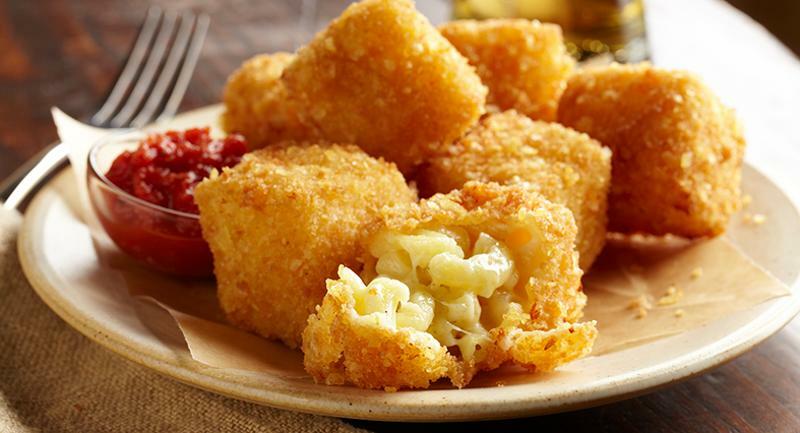 A customer favorite—mac and cheese—is transformed into appetizer size by cutting the chilled mixture into cubes. The cubes are then coated with panko and crushed potato chips and deep-fried to create a crunchy crust. To contrast with the richness of the recipe, chef Des Jardins pairs the bites with a refreshing tomato jam.